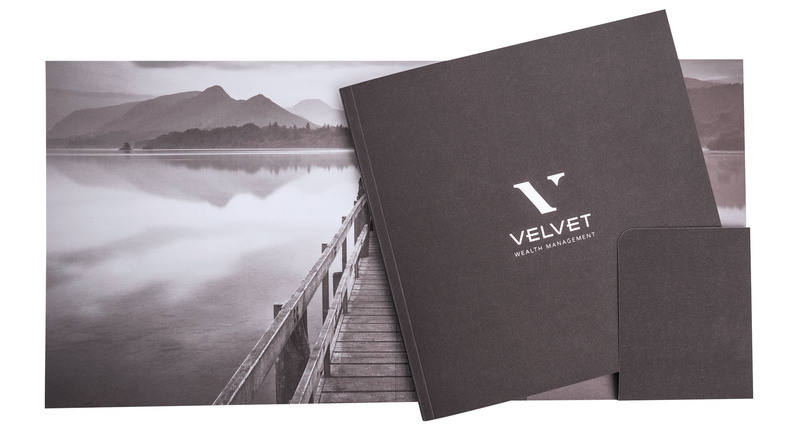 After initially creating the new branding for Velvet Wealth Management, that turned out to be a success, Velvet got in touch with Hive again. We produced a high quality 32 page perfect bound booklet design. A folder cover was also designed for the booklet to fit in. Continuing the luxurious feel the client wanted to convey, the brochure was finished in a soft touch laminate with a gunmetal foil block logo. The design featured a range of chairs. Each chair with their own unique identity. 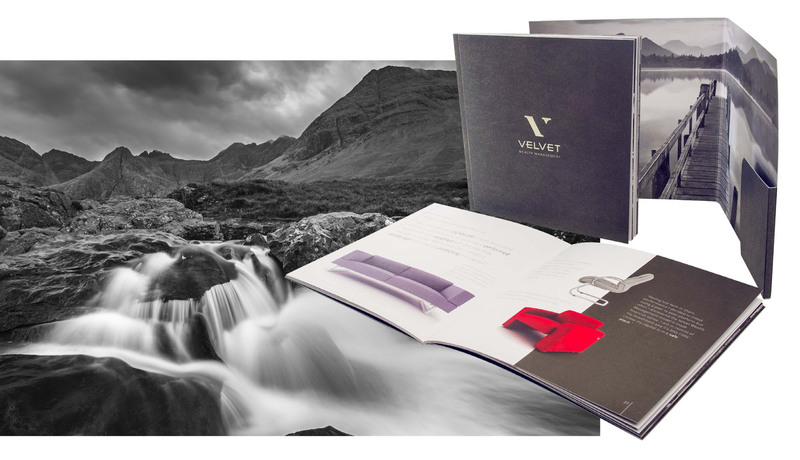 The chairs conveyed the unique and personal approach which Velvet provides to each of their individual customers. Black and white shots of stunning locations where also incorporated too, to provide a feeling of opulence. If you would like to find out more about our literature design please contact us.